A brand new hostel located right in the heart of Chiang Mai. From here, you are just a few steps from experiencing the northern culture. Chiang Mai is the largest and the most culturally significant city in the north of Thailand. It is the capital of Chiang Mai Province that was once called the Lan Na Kingdom (Lanna means a million rice fields). Chiang Mai means “new city” and was so named because it became the new capital of the Lan Na kingdom when it was founded in 1296, succeeding Chiang Rai, the former capital founded in 1262. Chiang Mai has positioned itself to become a Creative City and is considering applying for Creative City status with UNESCO. 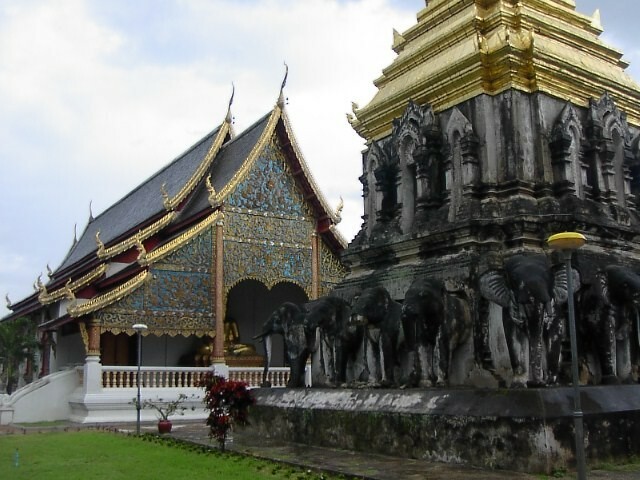 Chiang Mai was one of two tourist destinations in Thailand on TripAdvisor’s 2014 list of “25 Best Destinations in the World”, where it stands at number 24. Counting Sheeps is located in the old city of Chiang Mai where many famous attractions and restaurants are. Counting Sheeps is just five minutes away from Wat Chedi Luang, a temple constructed in the 14th century. 15 minutes away from Tha Phae Gate and 5 minutes away from the Sunday Night Market. Come and enjoy the local food and crafts at the Sunday Night Market on every Sunday night a few walks away from our place. Want to party? There are various pubs and restaurants within the old city where you can simply walk to. Want to enjoy the view? There riverside pubs and restaurants where you can enjoy the view of the Ping river, or go to rooftop bars and enjoy the view of Doi Suthep and the city. A newly designed hostel/rooms and coffee shop in Chiang Mai’s Old City, literally 2 steps away from the Sunday Walking Street and everything else you need. Counting Sheeps At CNX is foremost a home to travelers, a hostel, with private rooms, a coffee shop & bar (7am-11pm), and packaged deal tours.